Sztella Murenyi was born in Subotica, Serbia. She is a Ph.D. student at the University of Novi Sad, Faculty of Sciences, Department of Chemistry, Biochemistry and Environmental Protection with major in Environmental Protection. She is also one of the fellows in the project Photo4Future-A Marie Skłodowska-Curie Innovative Training Network (ITN). 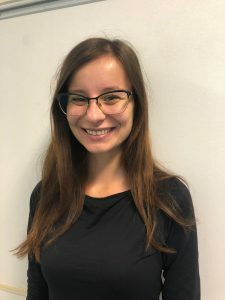 At TU/e she will work on the photo flow chemistry project (P4F project) under the supervision of associate Prof. Timothy Noël.